When Cristiano Ronaldo lifted the 2016 Ballon D’Or tonight in Paris, it was the rightful conclusion to a momentous year for Portugal’s greatest ever footballer. Ronaldo showed the world why he’s far more than just an outstanding individual player, when his support from the touchline inspired his team mates to glory in the Euro 2016 Final this summer after he’d been stretchered off in tears. The ecstatic celebrations at full-time provided the defining image of a tournament that finally saw Portugal lift one of football’s major trophies for the first time, when they clinched a dramatic 1-0 win against hosts France. The former Manchester United star scored three goals to guide Portugal to the Final, and also helped Real Madrid win last season’s Champions League, topping 50 goals in all competitions for an unprecedented sixth successive campaign. 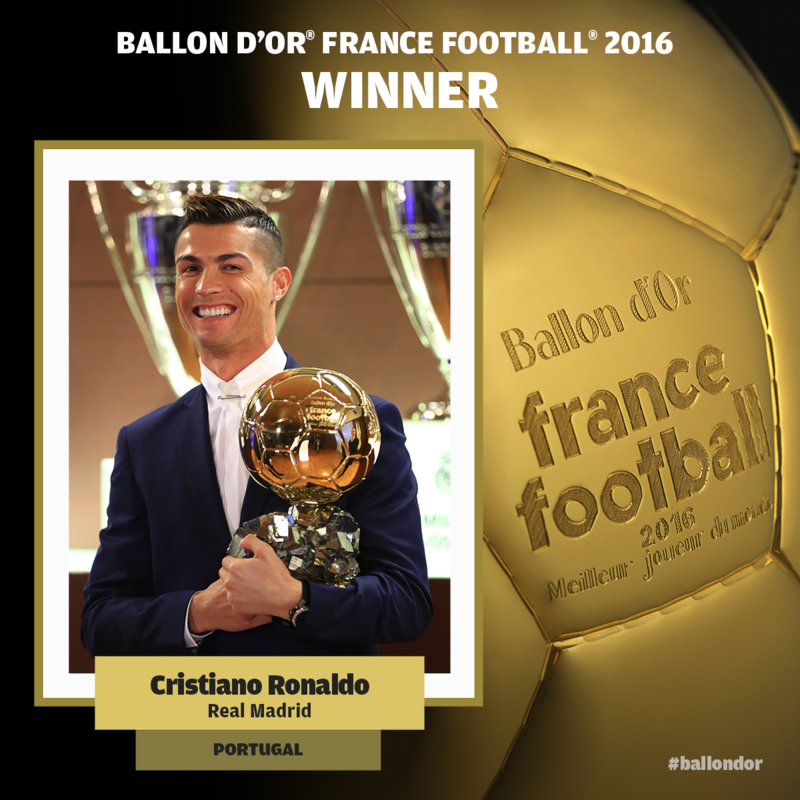 Claiming his fourth Ballon D’Or, the 31-year-old is now just one behind Barcelona’s Lionel Messi, who took the honour for a fifth time last year. Ronaldo has now won the Ballon d’Or in 2008, 2013, 2014 and 2016, with Messi the only other recipient of the award since winning it for the first time in 2009.